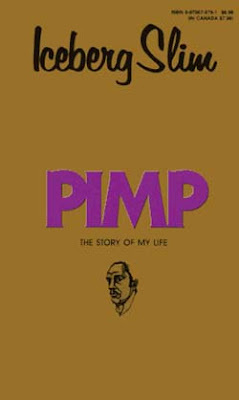 Rob Weiss, an executive producer on HBO's "Entourage," along with producers Mitch Davis, Ryan Drexler and Andrew Left have acquired film rights to Robert "Iceberg Slim" Beck's urban autobiography "Pimp: The Story of My Life." Born into poverty, Beck became a pimp at 18 and rose to kingpin status in the Chicago underworld. He served several stints in prison, making one escape, eventually retiring and becoming an insecticide salesman in Los Angeles. During a call to a college professor, Beck mentioned he was a pimp, with the professor encouraging the man to write an autobiography. Three months later, Beck had penned "Pimp." The book has sold over 5 million copies since its release and is the second best-selling book written by a black man, after Alex Haley's "Roots." "The story is really the birth of the American inner city and it's an incredible tale of overcoming oppression," said Weiss. "It speaks of a very specific time in America and its street culture. The book is filled with broken souls but shows how in the end, Iceberg found a way to heal himself." The quartet is now looking for talent to attach before bringing the project to a studio. Over the years, many parties have tried to get a movie adaptation of the 1969 book underway, without much luck. One iteration was set up at Fine Line as a starring vehicle for Ice Cube with Bill Duke directing under Quincy Jones and Mark Burg's Island Pictures. Pras of the Fugees was trying to mount a film version as recently as 2004. Shaking my head that one of the top two selling books written by a black man is about a man being a kingpin pimp.